The story of how I healed my body and mind began in my childhood. I had an incredibly rich childhood in Canada, I was a Navy and Sea cadet, I was a part of the Boys& Girls Club, I went to French Language Cooking Schools, and I frequently went camping and boating. I even attended and boarded at the $64,700 a year prestigious Ashbury College in Ottawa, but I was kicked out of no fault of my own, but that’s another story. My parents divorced when I was twelve, and my mother bought a house and eventually sold it when I was 15. We then moved into an area adjacent to a not-so-good community and I started to socialize with the wrong crowd. During this volatile period in my life, I was exposed to things that no teenager should be exposed to. But I now know that is was my destiny to experience, for like Lord Vader I had to become a part of the darkness so I could destroy it. It was during this time that I developed serious anger & hate issues, I became very violent and most of my conversations were profanity-laced. I was stubborn like an 80 year old hermit, I didn’t like anyone, and my behavior was completely opposite of my rich multicultural upbringing in middle-class Toronto. My continual negative mental state caused me to develop chronic stomach ailments like I was a 60 year old man. According to Harvard Health Publishing, “the gastrointestinal tract is sensitive to emotion. Anger, anxiety, sadness…”. Luckily my mother sent me to Jamaica or should I say “deported” me to Jamaica, which was the best thing that happened to me in my teens. By the time I was 18 I was living in Miami studying Architecture in college, I was infatuated with spirituality and I was an animal-welfare conscious vegetarian. But I still had serious anger issues as well as other negative emotions that were dormant in my spirit, which continued to cause me chronic physical ailments. My grandmother who was a spiritual nut, she followed Elizebeth Clara Prophet, Satya Sai Baba and anyone else’s teaching that she gravitated to. She possessed religious and spiritual literature from all over the world. For whatever reason she mailed me the Bhagavad Gita, I had no idea why she did, and she never did tell me why. When I received the book I just thought it was one of grandmas nutty religious books, so I threw it in my closet and I didn’t touch it for months. But one day my curiosity overtook me, I picked up the Bhagavad Gita got comfortable on my couch and began to read. I had no idea of the Incredible adventure I was about to undertake. Each page I read revealed to me the secrets of secrets, all the questions I had in life and the questions I didn’t even know I had were being answered as I continued to read. By 4:00 am I finished reading the whole book, but I knew for me to gain the true understanding of this book I had to read it in the language it was written in, Sanskrit. I went to the Miami-Dade downtown library and luckily they had one Sanskrit dictionary and grammar book I could borrow. Once I learned the language, I re-read the Bhagavad Gita. As I suspected the knowledge and the concepts I gained were well beyond anything I had understood from reading the English translation. The Gita lighted a fire in me and led me on a quest for more spiritual knowledge, so when I was 20 I journeyed to India in search of more knowledge. I didn’t travel to north India like most seekers, my intuition told me to go to extreme southern India, so I ended up in Chennai. While there I discovered The Sanskrit College, which literally is an Oxford-like library of purchasable Sanskrit literature. I spent hours in this place. When I returned to America I had a treasure trove of books, but of those books, there was one that as going to heal me because of power that it possessed. It was book composed of the God Vishnus 1000 names. But what made this book interesting was its assertion that chanting them every mourning “with a focused mind” would bestow wealth, fame, great energy, become free from all disease, gain beauty of form and strength of body and mind. I didn’t believe it, I mean every religion has its mumbo jumbo, but my intuition egged me along to try it anyway. After reciting these 1000 names of Vishnu for a couple of days I started to progressively experience odd sensations. While chanting I felt weird vibrations within my body, then I felt periodic heat sensations. As the days passed by I gradually developed a more focused mind. Then one day when I was about 60% into the recital I began to feel a force spinning around me. I had no idea what to think, I felt like I might have lost my grip with reality. After about a week of doing this recital, I noticed I was much calmer, I no longer felt the heaviness of deep-seated negative emotions, and I felt a radiance of peace in my body. Little things didn’t bother me anymore, and I wasn’t quick to anger at any slight. My chronic stomach ailments also disappeared. At the time I thought Sanskrit was a divine language, a language of magic and power, I mean how couldn’t it be after experiencing all of the above. Thanks to the late Masaru Emoto and his incredible books “The Hidden Messages in Water” and “The True Power of Water” I realized that sound was just a carrier of mental energy and emotions. Mr.Emoto discovered that feeling and thoughts could change the form of water. He demonstrated that no matter what language one spoke if the word carried the same meaning it created similar water crystals. If the words or emotions were positive, the water crystals created were bright and beautiful, and if the words or emotions were negative the water crystals created were malformed & dark. I learned that when my mind was imprinted with fear, hate, anger, resentment, and guilt so on and so forth, these imprints will radiate throughout your mind and body causing all kinds of ailments. We don’t need the Vishnu Sahasranama, we just need to change our speech, change what we listen to, change what we are entertained by. We’re not just what we eat, we are what we talk about, think about, listen to, what we watch, who we talk to and sleep with. Once we change the daily energy that we allow in through our senses to primarily positive energy, we’ll regain our health and develop peace of mind, then we can enjoy the magic that life truly has to offer. 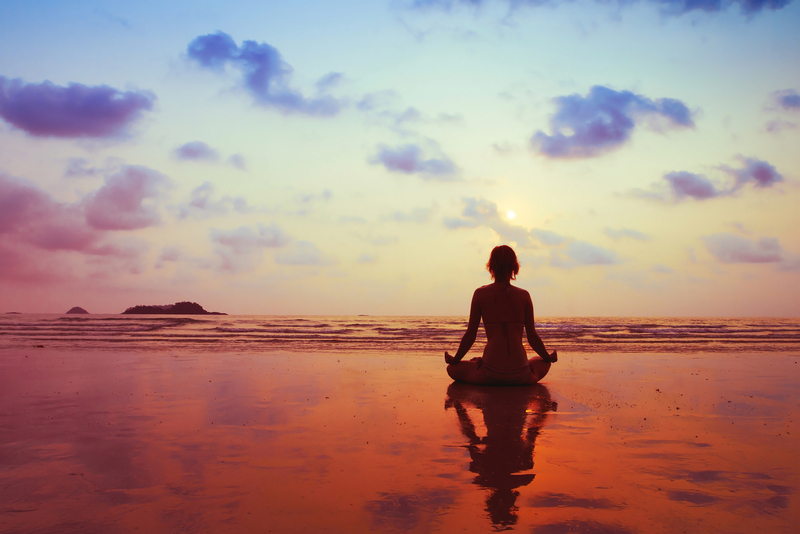 See my article on how meditation can make you regain health by clicking here. Words can’t describe how much I love Sean, and what he is doing for humanity ! First and foremost Sean changes world for the better every single day, super intelligent, with big heart, compassion and passion. God Bless You, Sean. You make this world a better place, with your presence .